Being born and raised in a tropical country like the Philippines, I have always looked forward to the day when I could finally see, feel and touch SNOW. And at last, I ticked this off my bucket list in South Korea last Dec 2016 together with my boyfriend. So, friends and all my avid readers, let me share with you our 5-day winter holiday, complete with itinerary, tips and cost breakdown to help you plan your own trip to Korea soon. Except for Jeju Island, Filipinos need a tourist visa to enter Korea. 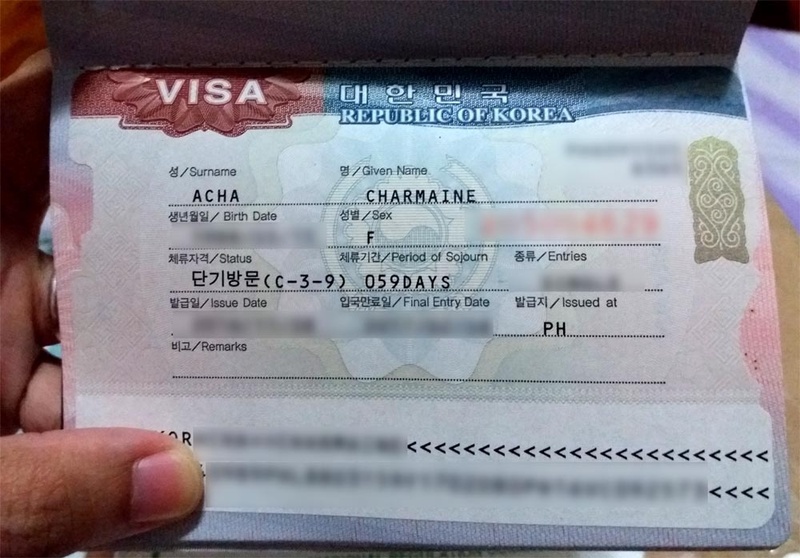 For complete details of applying for a visa, read my previous articles: My South Korea Tourist Visa Guide and How I Got a South Korea Tourist Visa with No ITR. 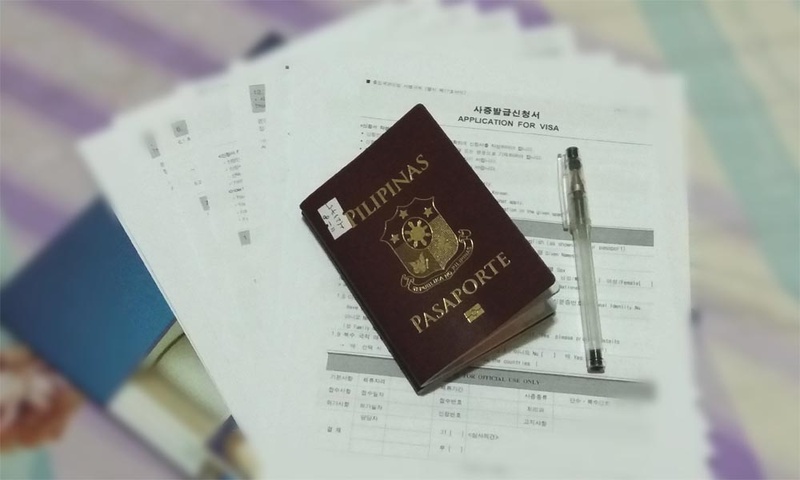 UPDATE: As of 1 July 2018, all Korean visa applications are processed through designated travel agencies. Read more details here. When we arrived at Gimhae International Airport in Busan, we immediately asked for assistance from the tourist information desk and bought our T-money card from 7-Eleven located inside the arrival area. We then commuted to our Airbnb in Haeundae-gu, Busan via the subway. Buy your T-money card as soon as you arrive at the airport and load it up at 7-Eleven or any reloading machines at the nearest subway station. Save this subway map of Busan beforehand. 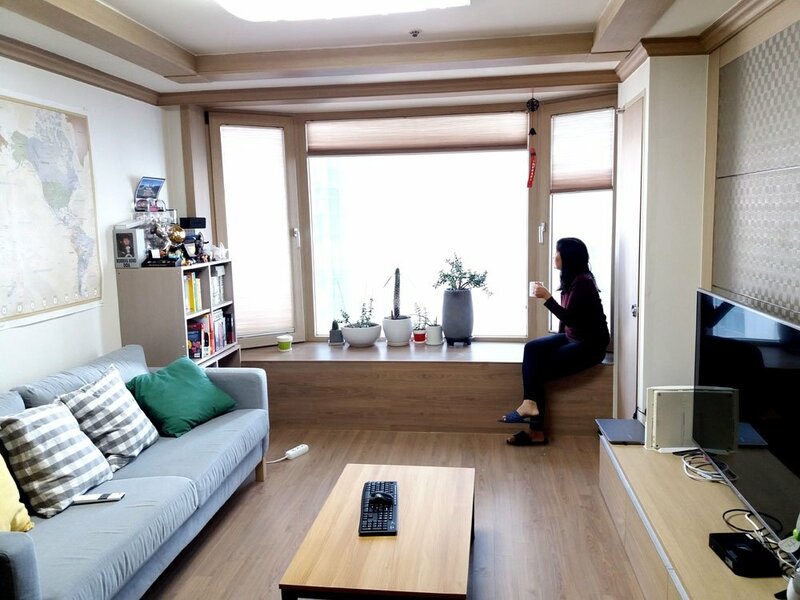 How to get to our Airbnb in Busan: From Gimhae International Airport, take the Light Rail Transit to Sasang Station, transfer to Line 2 to Dongbaek Station, and walk for 5-7 mins to Kaiser Building. Update: The Airbnb that we stayed at in Busan is no longer in the Airbnb listing as of Oct 2017. Do check out this guide on the best areas to stay in Busan. 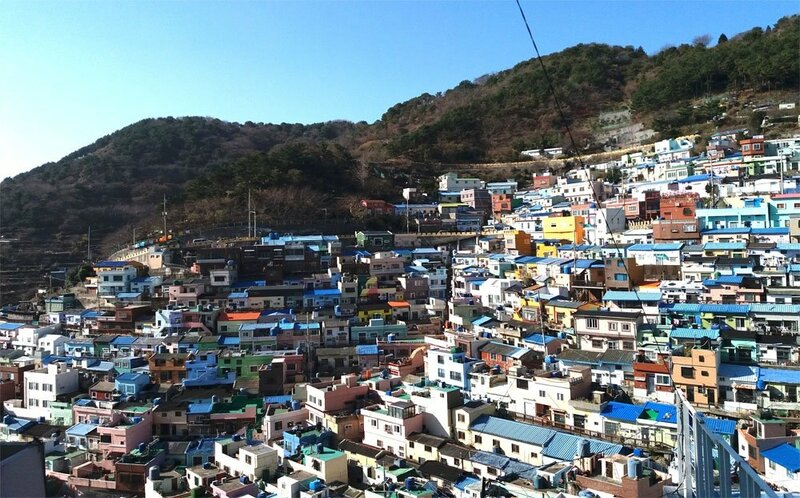 You have not travelled to Busan if you have not visited the Gamcheon Culture Village. Though touristy, we still had a great time exploring this colourful neighbourhood. Tip: Don’t follow the crowd. Walk your way through the narrow alleys and explore the village on your own. You might find some Instagram-worthy corners that are often overlooked by tourists. How to get there: From Line 2 Dongbaek Station, take the train to Seomyeon Station. From there, transfer to Line 1 to Toseong, exit 6. Walk a few metres to the bus stop and take the local bus Saha 1-1, Seogu 2 or Seogu 2-2 to Gamcheon Elementary School Bus Stop. The Jagalchi Fish Market was not part of the initial plan but BF insisted that we should go there so we can experience the local scene. I was a bit hesitant because time was ticking and I’m not fond of fish markets as they are usually slippery, wet and stinky. 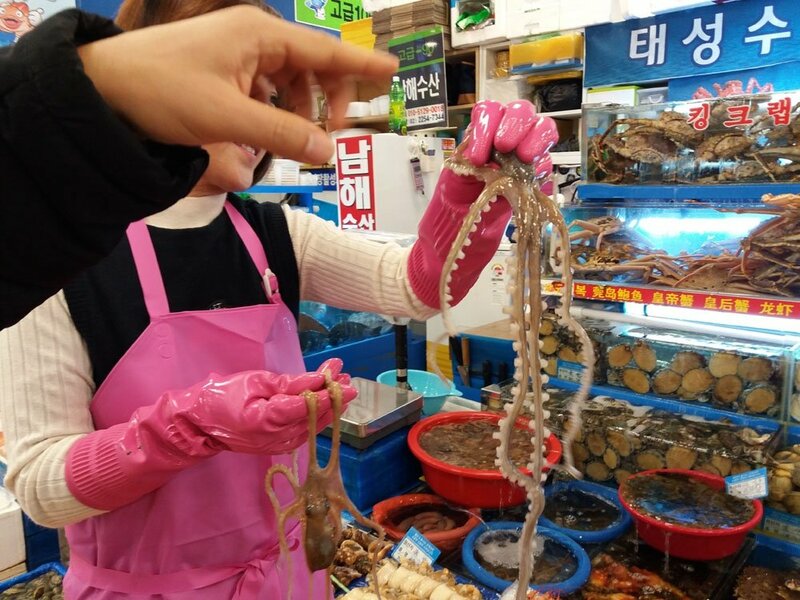 Surprisingly, fish markets in Korea are unlike the ones in the Philippines. They’re very clean and don’t smell fishy at all! How to get there: From Toseong Station, take the train to Jagalchi Station. From there, the Jagalchi Market and Gukje Market are just 5-10 minutes’ walk away. After Jagalchi Market, we planned to do the BUTI Busan City Tour to visit more attractions in one go, but we failed to do so because we ran out of time. The city tour bus is found in front of Busan Station. For ticket prices, click here. Since we did not push through with the city tour, we decided to move to a different attraction that is not covered by the tour. So, off we went to Beomeosa Temple. Though it was getting darker and colder, we still enjoyed our short exploration at this sacred Buddhist temple. How to get there: From Busan Station, ride the train to Beomeosa Station, Exit 5. Then walk for a few minutes along Cheongnyongyejeon-ro. You should find the bus stop for Bus 90. One day was NOT enough to explore Busan. We regretted spending so little time in this charming coastal city. We would definitely go back to do everything on this list of fun things to do in and around Busan! 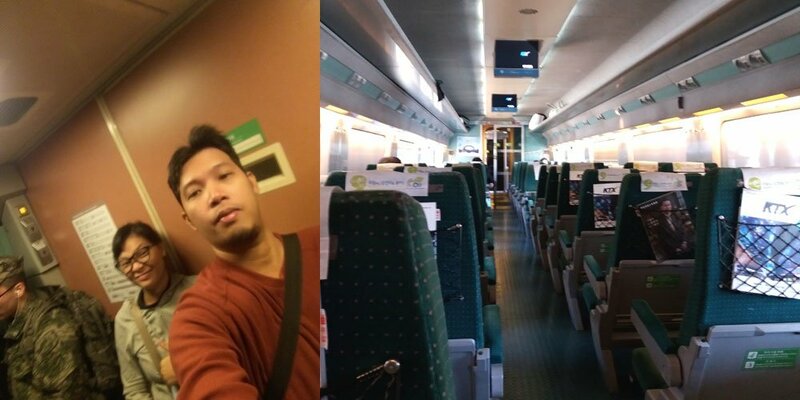 We checked out from our Airbnb at 9.30am and headed to Busan Station to ride the KTX to Seoul. Book your KTX ticket online a day before your planned departure as the train seats get fully booked on the day itself, especially on Fridays and weekends. Take it from us! Save this subway map of Seoul beforehand. This is what you’ll have to endure if you won’t follow our tip — standing for three hours at the back of the train! It was quite painful but FUN as I imagined the scenes from the epic movie Train to Busan. Haha! Finally, we arrived in Seoul after three hours of feeling like a zombie on the train. My Korean friend, Amy, welcomed us at the Seoul Station and accompanied us to our Airbnb. It’s been six years since we last met in Cebu and I’m so happy to see her again in Seoul. When we arrived at our Airbnb in Seoul, our host, BK, prepared coffee for us and even played music using a Korean traditional flute to officially welcome us to his guesthouse. So cool, right?! There are many things about this Airbnb that we like so much – the hospitable host, the clean and comfortable amenities, the amazing view and the strategic location. It’s connected to the Noryanging Station so many city attractions are easily reachable. 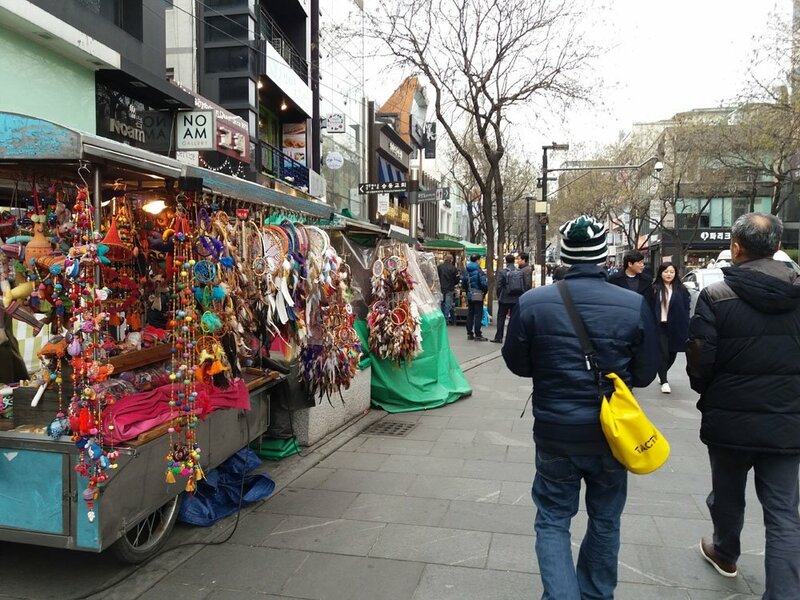 What’s more, it’s near the famous Noryanging Seafood Market and a food alley where you can buy affordable Korean food! Foodies will love it here for sure. How to get to our Airbnb in Seoul: From Seoul Station (Line 1), take the subway to Noryangjin Station. Update: The Airbnb that we stayed at in Seoul is no longer in the Airbnb listing as of Oct 2017. Check out these recommended places to stay in Seoul and top-rated guesthouses. After dinner at the food alley, Amy brought us to the 63 Building’s observatory to see the stunning bird’s eye view of the Han River and Seoul City at night. Then, we strolled around the Han River to cap off the day. Our winter holiday in Korea would not be complete without experiencing the SNOW! 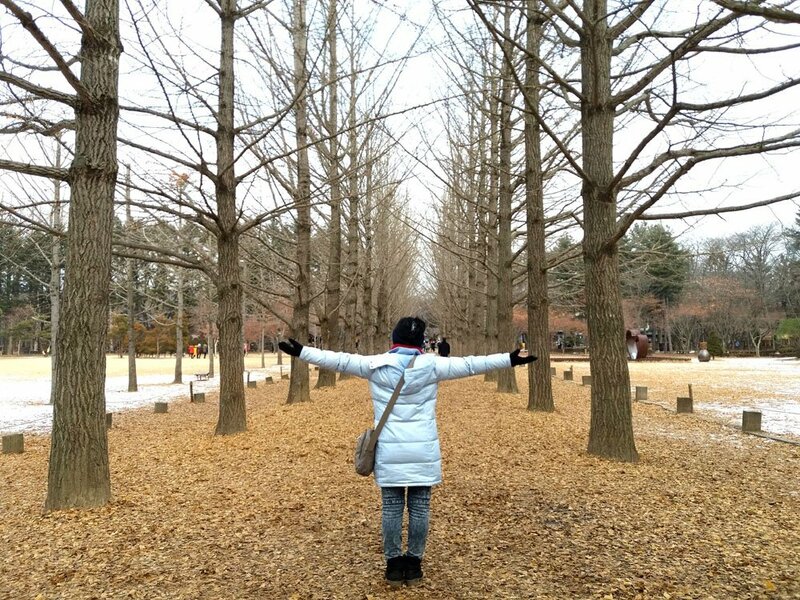 Yes, we allotted one day just to enjoy the snow in Nami Island and Elysian Ski Resort. 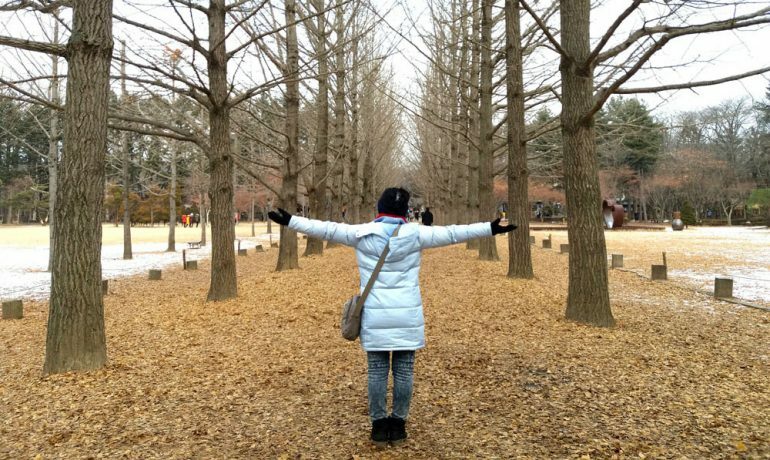 Nami Island rose to fame because of the Korean drama Winter Sonata. There’s no wonder why many people rave about it — it’s just so scenic everywhere! Tip: Reserve an ITX Cheongchun Line ticket online a day before your trip to secure your seats, and get your actual tickets at Yongsan Station on your departure. How to get there: From Yongsan Station, ride the ITX Cheongchun Line bound for Gapyeong. Train ride takes about 45 minutes. From Gapyeong Station, take the bus to Nami Island ferry terminal. From there, ride the ferry to Nami Island. Ferry ride takes about 10 mins. BF really wanted to ski since this is an activity you cannot do in the Philippines. Unfortunately, I bailed out because my monthly period suddenly came on our way to Nami Island. Argh, the monthly struggle of being a woman! Anyway, we ended up not skiing because BF didn’t want to ski on his own. Besides, the ski fees are quite expensive for us. Better luck next time, though. 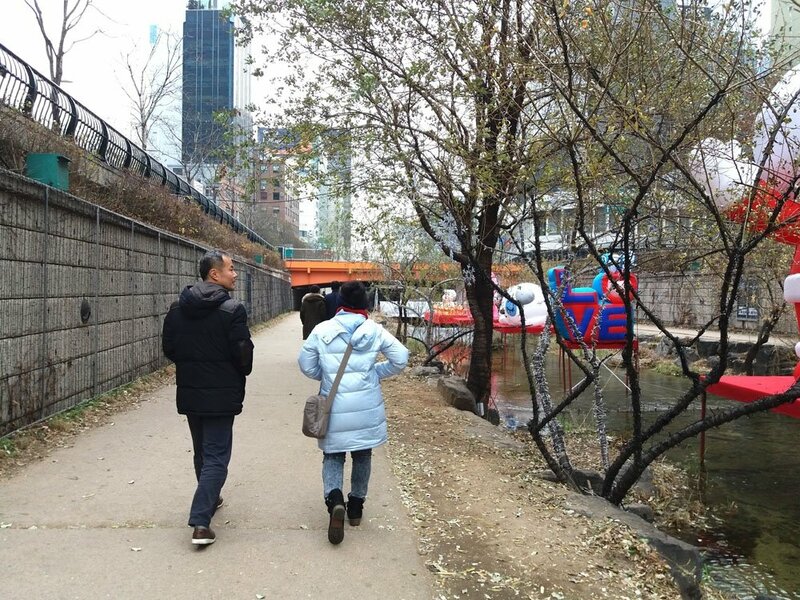 How to get there: From Nami Island, take the Metro Rail to Baekyang-ri Station. 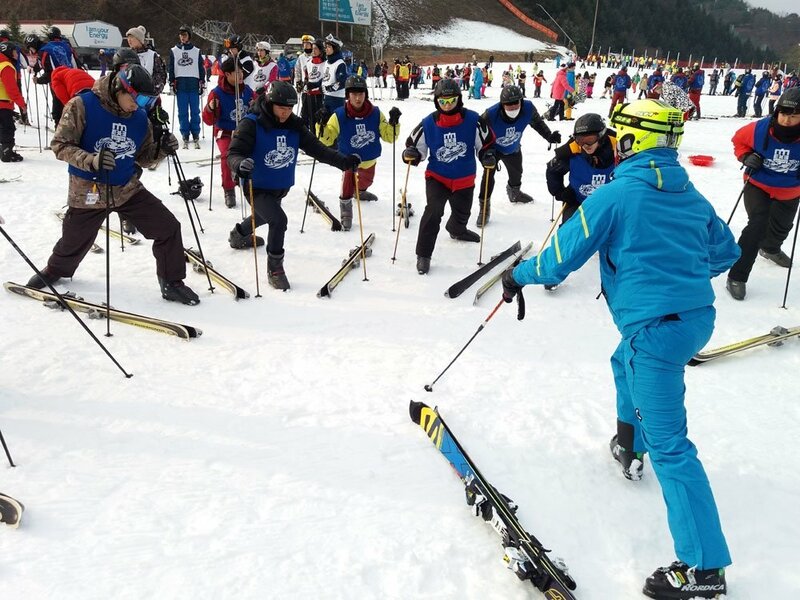 There’s a free shuttle to Elysian Ski Resort. Just wait outside the Baekyang-ri Station. I’m not adventurous when it comes to food, so I could not believe myself when I dared to eat a live octopus. It’s an experience that’s truly one for the books, at least for me. We’ve been passing by Yongsan Station but we did not even know there’s a shopping and entertainment area there. Again, thanks to BK for this discovery. Walking along this man-made stream. It looks even more spectacular at night. Searching for cheap stuff as pasalubong! I bet you have not heard or read about this charming coffee shop in Bukchon Hanok Village. You may chill out at the roof deck to see the Hanok Village and the Gyeongbokgung Palace from above. Again, we wouldn’t have found it if not for BK. While strolling around the Bukchon Hanok Village, I felt like I was transported to ancient Korea. I can’t help but imagine how life was in the olden days with all these traditional houses which date back to the Joseon Dynasty (1392-1897). We saw some houses being converted into guesthouses, allowing visitors to immerse in the traditional way of living in Korea. 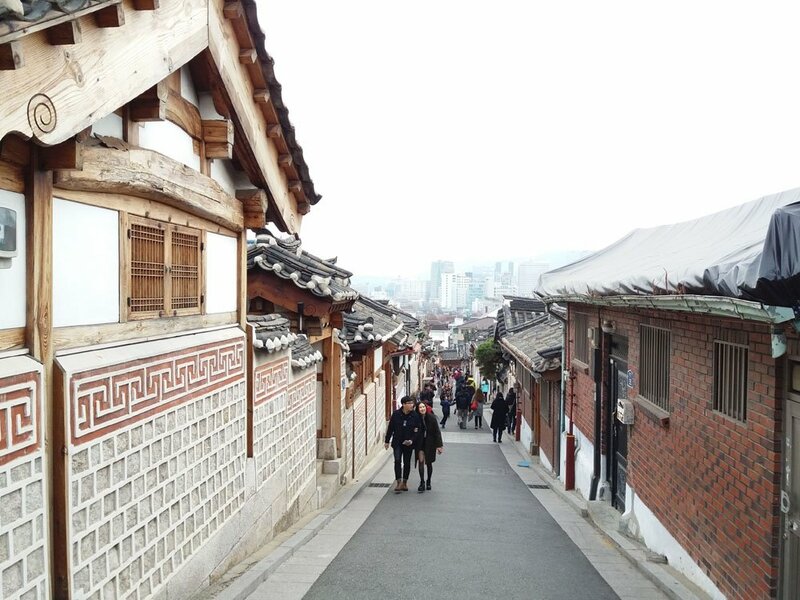 From the Bukchon Hanok Village, we walked towards Cheong Wa Dae, a.k.a. 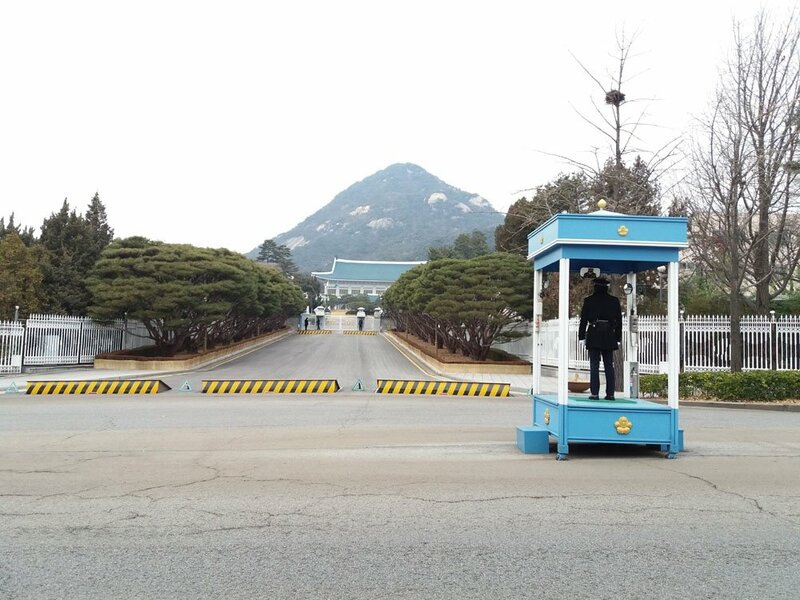 the Blue House, the official residence of the president. When we went there, strict security measures were implemented around the area as demonstrations against the president were still ongoing. The Gyeongbokgung Palace is just next to the Blue House. BK left us here so BF and I can have our moment together. We enjoyed and maximised our Seoul exploration because of BK. He’s truly a one-of-a-kind host and we owe him big time! From Gyeongbokgung Palace, we walked back to the man-made stream to have a little break. Christmas is in the air (and in the food!) Haha! 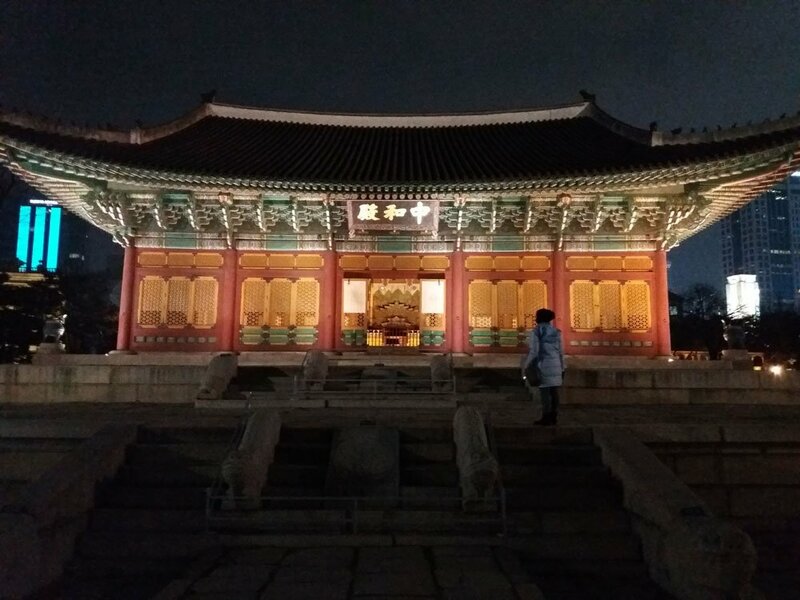 It was already getting dark but we still wanted to enter the Deoksugung Palace. 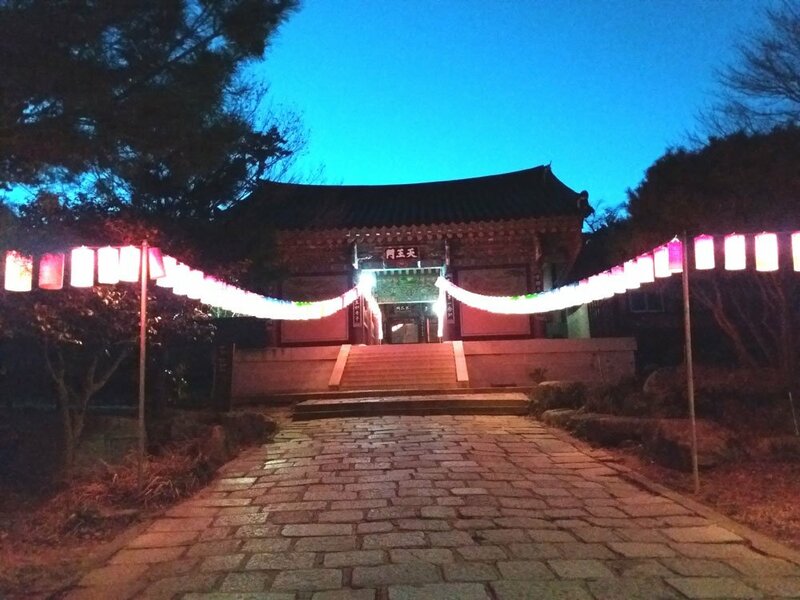 Korea’s royal family during the Joseon Dynasty used to live here. It is found in the middle of Seoul’s busy downtown area, just walking distance from Seoul City Hall. By this time, I was already dog tired from all the walking, but we still squeezed in Gangnam to our itinerary for the day. 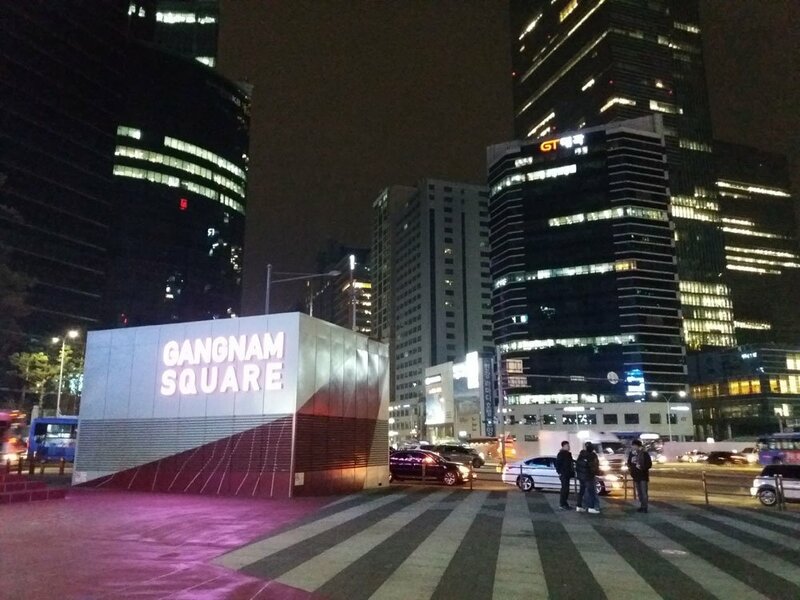 BK said Gangnam is like New York, full of lights and glamour – a total opposite to the places we explored in the morning. So, out of curiosity, plus the super popular song, Gangnam Style, that kept playing in my head, we dragged ourselves there. We checked out from our Airbnb at 11am and went to Seoul Station to keep our stuff so we could still explore more of the city before our flight in the evening. 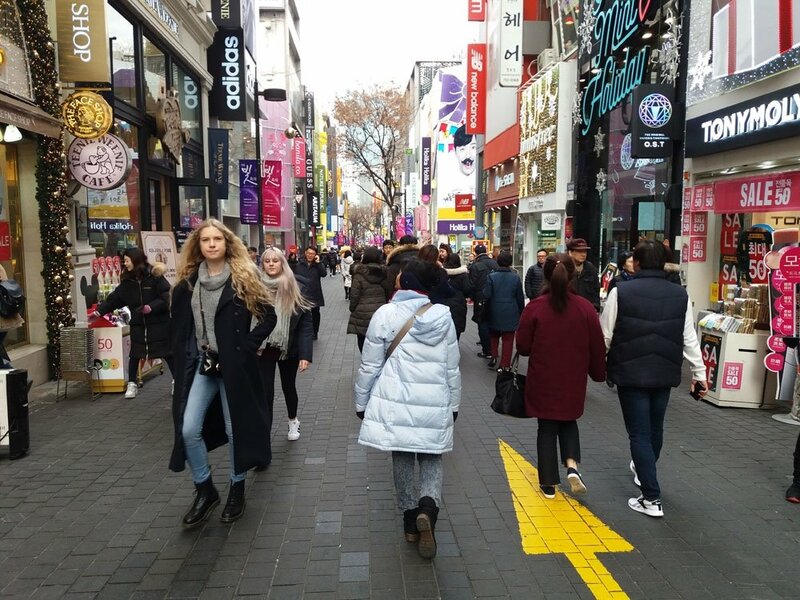 If you love cosmetics, Myeong-dong is your paradise! But as for us who are not fond of beauty products, we decided to go back to Insadong to shop for more pasalubong (souvenirs). 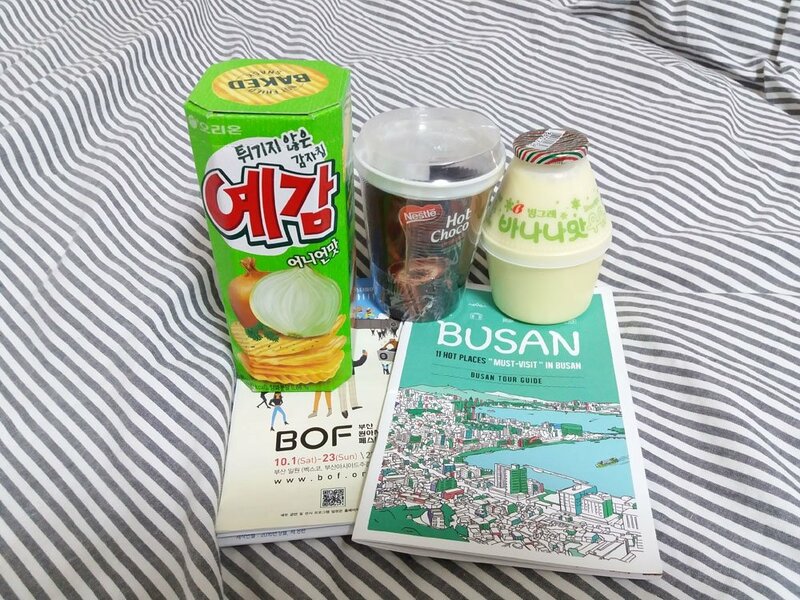 Check out my list of cute and cheap souvenirs from Korea we bought for our loved ones and friends back home. 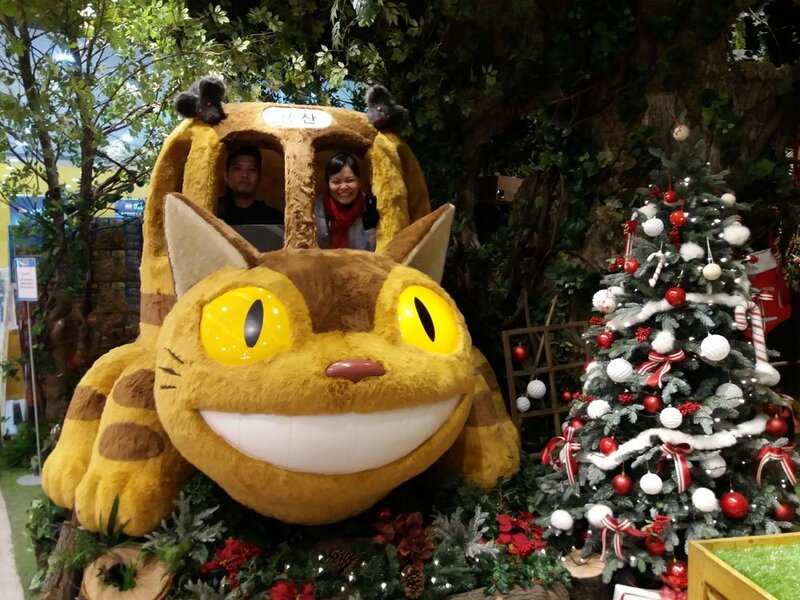 Initially, we wanted to explore Incheon City but Amy suggested that we skip it to avoid the hassle on our way to Incheon International Airport. I guess we’ll have more reasons to go back to Korea! 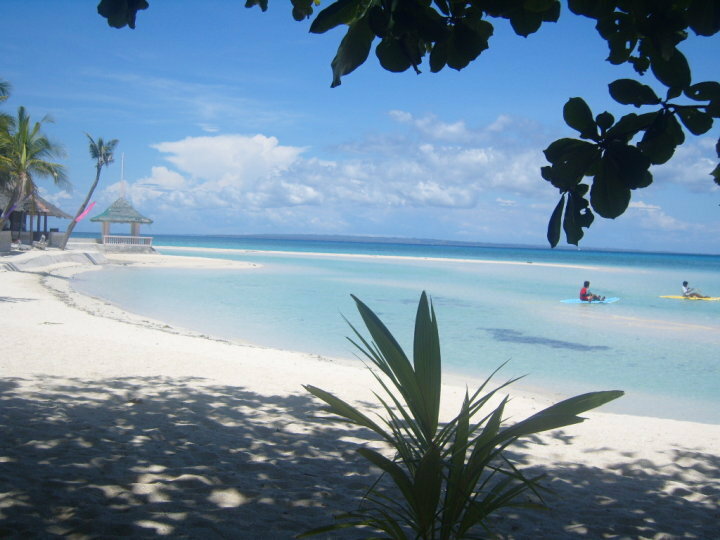 *Philippine travel tax (₱1,620) is not included in the grand total above. Whew, what a long post. I hope this inspired you a little to have your own winter trip to Korea soon. Don’t forget to share your adventures and stories with TripZilla! *Special thanks to Amy and BK for their generosity, kindness and friendship. Gomabseubnida! Until we see each other again!